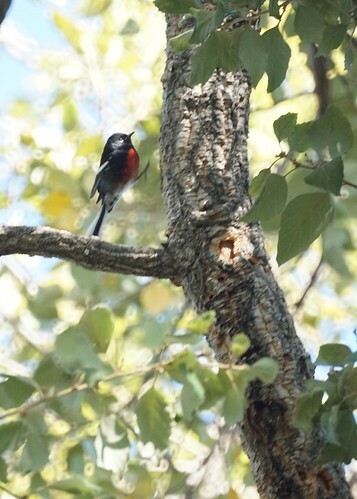 The painted redstart is an occasional visitor to Southern California. 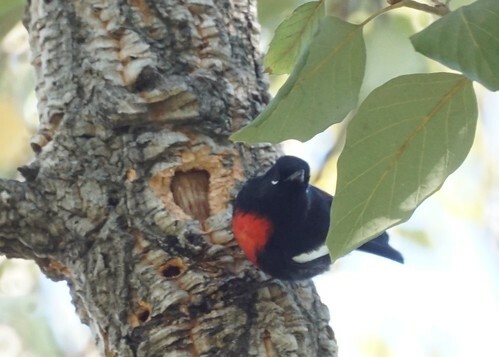 It's a beautiful bird, but it can be frustrating to watch and photograph. It likes to stay close to the trunk of the tree and moves around a lot. Its eye is a little unusual; we can only see the white on the bottom. 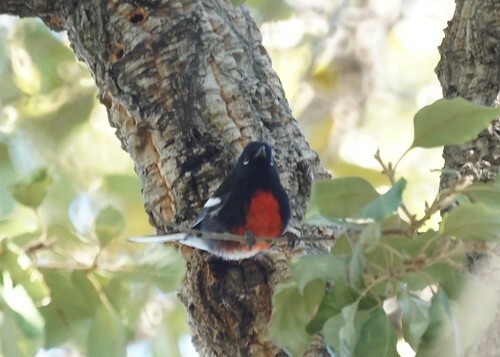 This painted redstart was in Glendora at Oakdale memorial park.